Raspberry Bakewell Gin Liqueur - Miniature is a unique product from the Cheshire Gin Company.This is the 5cl (50ml) minature ideal to try the product before committing to a full bottle or as an addition to a hamper or a gift this is a liqueur and is 20% less in alcohol volume than the Gin product and lighter to drink. 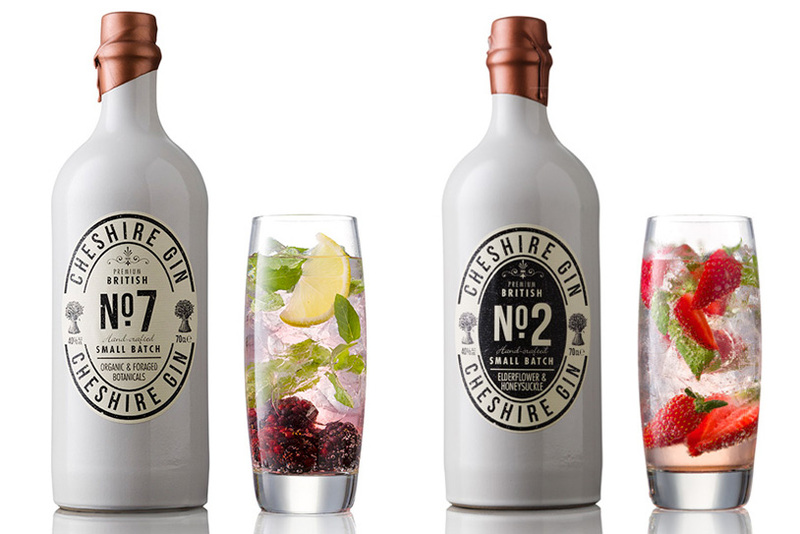 This Gin Liqueur is handmade in small batches using organic and foraged botanicals gathered by the Cheshire Gin team. Infused with wild Raspberries and produced using Buxton Spring Water the result is a subtle yet wonderful sharp yet sweet berry fruit drink. The natural pink colour of this gin liqueur makes an attractive addition as a cocktail with tonic over ice or even served its own. Try adding Raspberry Bakewell Gin Liqueur to Prosecco or Champagne to create a delectable Cherry Cocktail fizz.